The law firm of E. Joshua Schultz, Attorney at Law, provides affordable, quality legal services focused on criminal defense and family law. Our dedicated lawyers, based in Spartanburg, South Carolina, thrive on guiding individuals through difficult legal problems toward a better future. Our founding attorney, E. Joshua Schultz, is an experienced, trial-proven lawyer who has devoted his career to rigorously defending the rights of individuals charged with crimes. Lawyer Julia Tat focuses on family law and criminal defense. She provides the same respect and diligent attention to personal service that have become the hallmark of the law firm of E. Joshua Schultz, Attorney at Law. When you contact our law firm, you will quickly understand that we care about people. From the beginning of the free initial consultation to the conclusion of your matter, we will treat you with respect. We will listen intently to your concerns and goals and provide straightforward answers to your questions. We regularly work with a private investigator to uncover evidence to fully protect our clients' rights. Our mission is to obtain the most favorable outcome, tailored to the goals of our valued clients in each case. 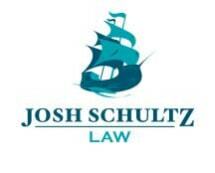 For family law or criminal defense representation at a reasonable price, contact the trusted attorneys at the law firm of E. Joshua Schultz, Attorney at Law. The initial consultation is always free and we have a flexible schedule, including appointments available during the evening and on weekends. We regularly make jail visits.